Should You Quit Smoking With Electronic Cigarette Technology? Electronic Cigarettes are gaining popularity, but are they a good smoking cessation tool? Electronic cigarettes are everywhere these days. More commonly known as “vaping,” these e-cigarettes deliver flavored nicotine in vapor form through a battery operated device. Just a few years ago they were specialty items, but have exploded in popularity recently and are now commonly available at corner convenience stores. A product that was once available almost exclusively online is now advertised on TV, something that “traditional” tobacco cigarettes haven’t been lawfully able to do since 1971. While some people “vape” simply because they enjoy it, others feel e-cigarettes are a “safer cigarette,” and still others choose to quit smoking with electronic cigarette technology. This surge in popularity and availability raises many questions and some concerns about the safety of vaping. The problem is, these products are so new and so little research has been done on them, that there are no concrete answers. It may surprise some people to learn that the electronic cigarette industry is completely unregulated by the FDA, which does raise some concerns. They Still Contain Nicotine While they don’t contain any tobacco, e-cigarettes still contain nicotine. Nicotine is highly addictive, and research suggests that it also primes the brain to become addicted to other substances as well. Even more alarming, the FDA has found that electronic cigarette cartridges labeled as “nicotine free,” in fact did contain the harmful substance. They are also concerned with inconsistencies in the quality control (or lack thereof) in the e-cig industry. Another FDA study found that different cartridges with the same label actually produced vastly different amounts of nicotine with each puff. What Else Do They Contain? If you’re wondering if you should quit smoking with electronic cigarettes, you may also be interested in knowing that the American Lung Association has other concerns about the vapors they produce. Without FDA regulation, it’s hard to know for sure what exactly is contained in e-cig vapor. However, FDA lab tests have recorded cancer-causing substances including formaldehyde and an ingredient also contained in antifreeze. Studies have shown that these same chemicals, along with other known carcinogens, are also present in the “second hand smoke” produced by vaping. With 500 brands and nearly 8,000 “flavors” of vapor, it is nearly impossible to form an ingredient list. They May Not Be Effective Some vaping companies suggest that they can help you quit smoking with electronic cigarette products, but FDA studies show otherwise. These products still contain highly addictive nicotine, and a 2013 study showed that 76.8% of people who used e-cigarettes also smoked tobacco cigarettes. What’s The Bottom Line? While some people in fact do quit smoking with e-cigarettes, it should be clear that the end goal should be to quit not just tobacco, but the e-cigarettes as well. After all, they still contain nicotine and all of the other harmful toxins listed above. The bottom line is that the FDA still has major concerns about the safety of vaping, and FDA’s Center for Drug Evaluation and Research has not approved them as a smoking cessation tool. Smoking continues to be the number one preventable cause of death, responsible for over 400,000 deaths a year. Quitting is obviously in your best interest, but the FDA currently only recommends methods such as nicotine gum and patches, along with support groups and cessation counseling. 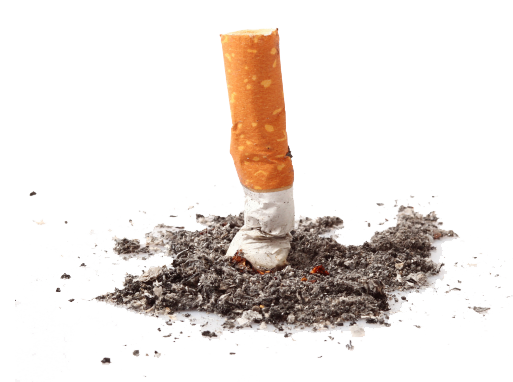 Our smoking cessation programs can help you quit smoking with electronic cigarette alternatives. For more information, contact us today.